Maybe you still haven't fully grasped the intricacies of the drug game, or maybe you're curious about just how badass your favorite rapper's best friends are. 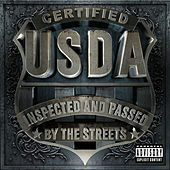 Either way, U.S.D.A. have got you covered. On the surface, the ATL group serves as a spin-off of sorts for the meteoric Jeezy franchise -- think of them as the Joanie Loves Chachi to Jeezy's Happy Days -- but they're so much more, thanks to excellent contributions from Jeezy cohorts Slick Pulla and Blood Raw. 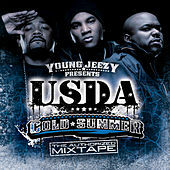 Their 2007 debut, Cold Summer, was one of the rawest mixtapes released that year. Though they're a little too raw for pop music prime time, they'll undoubtedly continue to be in heavy rotation on Southern street corners.